How do we learn our racket feelings? In most families there are clear guidelines as to which feelings are OK and which are not. These “feeling rules” are spoken out loud by our parents or may be conveyed without a single word being spoken. Some common messages spoken directly to children are “stop crying”, “why are you sad, snap out of it”, “don’t shout in this house”. Messages are sent psychologically when feelings or emotions from a child invoke a negative response from a parent. For example, if Abby is always ignored when she is feeling sad, but given a lot of praise and attention when she is happy she is likely to learn to be happy and avoid sadness. It may be that as an adult in times of sadness she does not know how to access the genuine feeling and either feel something that feels safer and is less likely to get her rejected by her parents (such as anger) or she may decide to feel confused or numb. So we learn as kids to favour certain feelings. As adults we tend to seek out opportunities to feel the same way. These feelings may not feel good but they feel very familiar, like that worn out old pair of smelly slippers that you really should have thrown out six months ago. If we can invite others to play games with us, if we can manipulate them and encourage them to hurt us, we get to re-experience these feelings and collect these feelings up to trade in later. Stamp collecting. Are you one of those people that store things up and then let your partner or work colleague have it with both barrels when you can take no more? In TA terms we say you are trading in your stamps. Some people wait a couple of days to do this, others wait years. The aftermath can be anything from an argument with your boss to getting fired in spectacular fashion or bickering with your partner to full blown divorce. So how can you avoid rackets and collecting stamps? Firstly, it’s worth identifying those things you do or situations you find yourself in that result in the same old familiar negative feelings. Chances are you are indulging yourself in racket feelings and stamp collecting. Once you have identified what these situations are then it’s time to do something different. Make a change, make an Adult decision and behave in such a way as to take yourself out of the situation. The chances are you may well feel scared or anxious when you do this, you are opening yourself up to having genuine feelings. These feelings will not harm you and will pass. Talk to your friends or family about these feelings and if you can’t do that find a good counsellor that can support you through the change. To avoid the stamp collecting it’s important to talk to those around you about what you are feeling and what you want to happen. If you are feeling fed up with your spouse because they did x,y or z then tell them and tell them what you want to happen instead. If you do this kindly and own your feelings then your partner may be able to help you out with it. If they are unwilling to help you out then at least you know that and can make choices accordingly. I’m not pretending that this is easy to do and I would emphasize that working with a therapist or counsellor will help the process and allow you to manage your feelings better. I am convinced that we can all change our behaviour and we can choose to move away from the negative patterns we learnt as a child that are no longer appropriate as adults. Good article on Racket Feelings! I got the much sought clarification on the topic. Thanks a lot. 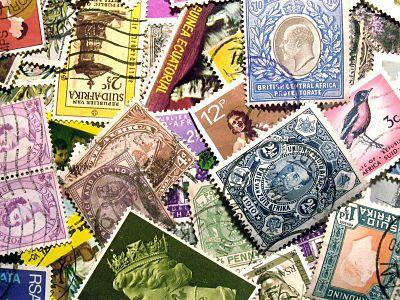 good article on racket feeling, collecting and trading stamps. What are the corresponding concepts in CBT?